Tetsu Yamamoto of Fujitsu Laboratories in Kawasaki talks about applications and devices they have developed based on the Fujitsu Task Computing Environment architecture. 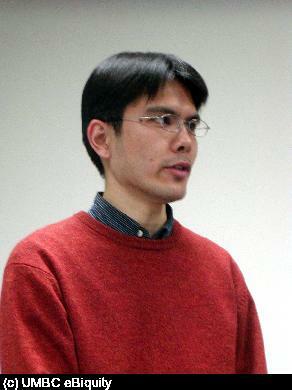 (Photo) Tetsu Yamamoto talks about Task Computing shows (Person) Tetsu Yamamoto. (Photo) Tetsu Yamamoto talks about Task Computing was taken at (Event) Development of Task Computing Applications and Devices.